Justin Leduc set out to create a viral hit, but he didn't think he'd nail it on his first try. San Francisco is under attack! 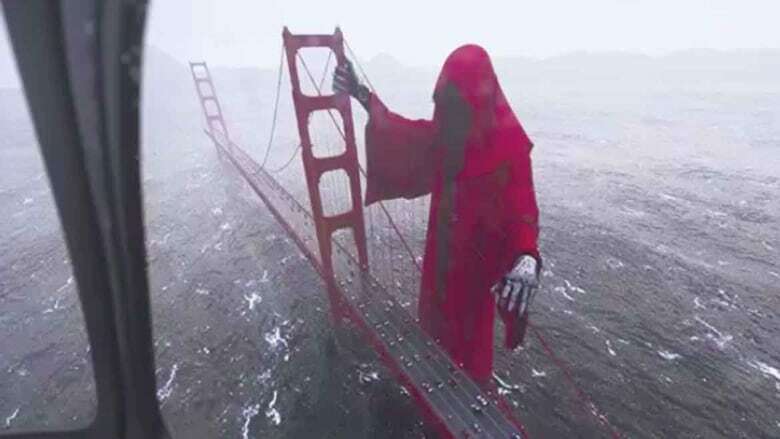 In this video, a hooded monster is seen looming over the Golden Gate Bridge, and as if a 220-metre-tall Ringwraith weren't enough of a threat, the churning water below is reaching some seriously tsunami-high levels. Um, no. It's just Instagram. And monsters, regardless of size and/or place of origin, don't exist. But that hasn't stopped viewers from leaving the same incredulous comment over and over and over again, ever since the video first went online in late July. It's a hoax, albeit an unintentional one — and the culprit is a guy from Toronto named Justin Leduc, a web developer who started teaching himself 3D animation just a year and a half ago. On Instagram, Leduc regularly posts cyberpunk-inspired street scenes. "Every day I just dedicate some time for my hobby, my passion, just for Instagram," says Leduc. Post-apocalyptic versions of Toronto landmarks are a favourite subject, but none of those pics exploded like his most recent doomsday vision of San Franscisco. The video, which went up on Instagram July 26, generated more than 9 million views in its first 24 hours online, a number that's since ballooned to more than 14 million as of writing. Made with Cinema 4D, the 15-second clip attracted international media attention, including mentions from NBC and the New York Times — plus some love from at least one of Leduc's idols, visual effects artist Andrew Kramer (Star Wars: The Force Awakens, Star Trek Into Darkness). And after getting all those eyes on his Bay Area boogeyman, Leduc tells CBC Arts that he's suddenly fielding (undisclosed) job offers, though he plans to stick to his 9-to-5. So how, and why, did he get the Internet to believe in monsters? According to Leduc, he set out to create a viral hit. He just didn't think he'd nail it on his first try. What inspired the Golden Gate video? Did you have any particular reason for making it? A couple months ago, I saw a viral video and I told my girlfriend, "My god, I want to make something viral" (laughs). I didn't know I'd end up achieving it. The original idea was to have recognizable landmark — something really flashy that everyone knows about. I wanted to do something that was recognizable and attain a certain level of realism, and then put the extraordinary into the ordinary. You have so much time to communicate your story within an Instagram post because people are just scrolling down. So right away you need to get their attention. It helps if you have something that's ordinary and familiar, but then you add an element to it that's unexpected. It creates a reaction. You've done a ton of Toronto scenes. Why not set it somewhere in the city? That crossed my mind, but I guess I just wanted to do something different. I wish I had a good answer for that. It's really just because it's recognizable. I've never been to San Francisco — I'd like to go there one day. But really, it's just because everyone knows about it. Everyone's seen it. It's very moody — the vastness of the ocean can be very creepy, and the fog also. How long before you noticed it taking off? In five days I went from 13,000 followers to 490,000 followers. So yeah, it really went up fast. I think I noticed when I started getting comments. I was getting a crapload of comments and that's when I realized things were unusual. It got featured [by Instagram] really quickly. It got on the featured accounts page and then spread. What do you make of the reaction? Any favourite comments? I stayed in my house all week. I didn't go out — I was just in my bubble. And it was a weird experience, just to experience all of this on my phone. My girlfriend was telling me about her coworkers getting super excited, telling me all these little bits, like me breaking the internet, being a superstar. It's been a big rush, a big rush the whole week. But you know, people have really tried to twist what I've done into something that's insensitive to suicides and that's really not what I was going for. This is not the grim reaper. This is just some monster that's slightly inspired by Lord of the Rings. I've used it before. My new followers didn't see anything about that so they just assumed this was my first usage of this monster and because it was right next to the Golden Gate Bridge it was referring to suicide. But really, it's nothing. It's nothing like that. So, he's a friendly monster? He's a monster who just wants to observe! And that's kind of creepy by itself. You've got this huge thing just looking. Observing. And I think that's a popular theme in pop culture. Big Brother, you have Facebook — the idea of surveillance is pretty popular right now. 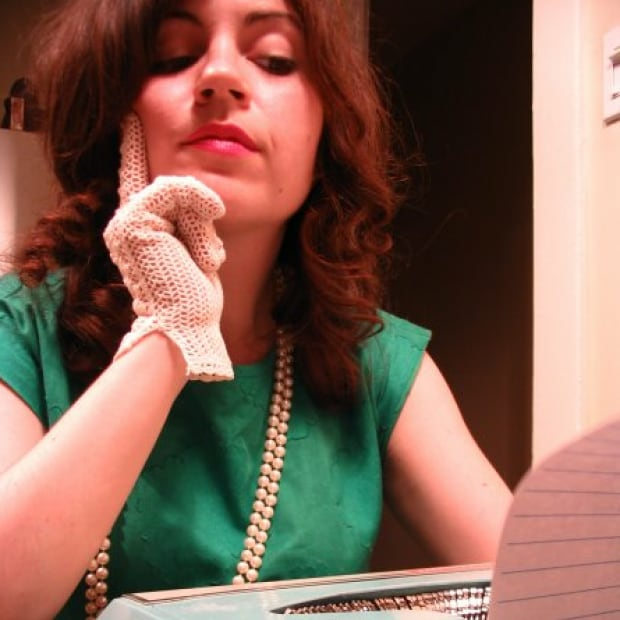 Is it connected to a story you're developing? Is the monster looking for anyone in particular? (laughs) No, I wish it were more deep, really. I just want to do something that's eye candy. That's what it's about on Instagram, really! And if the idea is cool and looks good, it's going to go viral. What are you going to do with all this attention? What's next? Just give me a follow and see what I'm up to. A lot of people have been asking me how I do what I do, what tools I use. I've learned everything myself. I've found every resource myself, every tool, every thing I need to know. If you're passionate, you'll spend the time. And that's what I really want to say. It's more than possible to be at my level and make something like I just did. That's the state of things these days. Someone can make something of this level at home, no problem whatsoever.